Sviatoslav contends that society needs trust because it increasingly finds itself operating at the edge between confidence in what is known from everyday experience, and contingency of new possibilities. Without trust, all contingent possibilities should be always considered, leading to a paralysis of inaction. Trust can be seen as a bet on one of contingent futures, the one that may deliver benefits. Once the bet is decided (i.e. trust is granted), the trustor suspends his or her disbelief, and the possibility of a negative course of action is not considered at all. 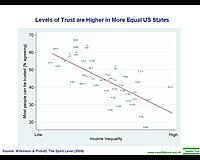 Because of it, trust acts as a reductor of social complexity, allowing for actions that are otherwise too complex to be considered (or even impossible to consider at all); specifically for cooperation. Sociology tends to focus on two distinct views: the macro view of social systems, and a micro view of individual social actors (where it borders with social psychology). Similarly, views on trust follow this dichotomy. Therefore, on one side the systemic role of trust can be discussed, with a certain disregard to the psychological complexity underpinning individual trust. The behavioural approach to trust is usually assumed while actions of social actors are measurable, leading to statistical modelling of trust. This systemic approach can be contrasted with studies on social actors and their decision-making process, in anticipation that understanding of such a process will explain (and allow to model) the emergence of trust. In psychology, trust is believing that the person who is trusted will do what is expected. It starts at the family and grows to others. According to the psychoanalyst Erik Erikson development of basic trust is the first state of psychosocial development occurring, or failing, during the first two years of life. Success results in feelings of security, trust, and optimism, while failure leads towards an orientation of insecurity and mistrust possibly resulting in attachment disorders. ^ Mayer, R.C. ; Davis, J.H. ; Schoorman, F.D. (1995). "An integrative model of organizational trust". Academy of Management Review. 20 (3): 709–734. CiteSeerX 10.1.1.457.8429. doi:10.5465/amr.1995.9508080335. ^ Bamberger, Walter (2010). "Interpersonal Trust – Attempt of a Definition". Scientific report, Technische Universität München. Retrieved 2011-08-16. ^ Kosfeld, M.; Heinrichs, M.; Zak, P. J.; Fischbacher, U.; Fehr, E. (2005). "Oxytocin increases trust in humans". Nature. 435 (7042): 673–676. doi:10.1038/nature03701. PMID 15931222. ^ Dennett, D.C. (1989) The Intentional Stance. Bradford Books. ^ Luhmann, N. (2005) Risk: a sociological theory. AldineTransaction. ^ Nooteboom, B. (29 October 2017). Trust: Forms, Foundations, Functions, Failures and Figures. Edward Elgar Publishing. ISBN 9781781950883. Retrieved 29 October 2017 – via Google Books. ^ Luhmann, N. (1979) Trust and Power. John Wiley & Sons. ^ Barber, B. (1983) The Logic and Limits of Trust. Rutgerts University Press. ^ Sztompka, P. (1999) Trust: A Sociological Theory. Cambridge University Press. ^ Allison I. Carter, Linda R. Weber (2003). The Social Construction of Trust. New York: Kluwer Academic/ Plenum Publishers. ^ Gambetta, D. (2000) Can We Trust Trust? In: Gambetta, D. (ed.) Trust: Making and Breaking Cooperative Relations, electronic edition, Department of Sociology, University of Oxford, chapter 13, pp. 213-237. ^ Braynov, Sviatoslav (2002). "Contracting with uncertain level of Trust". Computational Intelligence. ^ Bachmann, R (2001). "Trust, Power and Control in Transorganizational Relations". Organization Studies. 22 (2): 337–365. doi:10.1177/0170840601222007. ^ Coleman, J. (1990) Foundations of Social Theory. The Belknap Press of Harvard University Press. 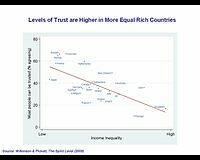 ^ Castelfranchi, C., Falcone, R. (2000) Trust Is Much More than Subjective Probability: Mental Components and Sources of Trust. Proc. of the 33rd Hawaii International Conference on System Sciences-Volume 6. ^ Mollering, G. (2005) The Trust/Control Duality: An Integrative Perspective on Positive Expectations of Others. In: Int. Sociology, September 2005, Vol. 20(3): 283–305. 2005. ^ Baier, A. (1986) Trust and antitrust. Ethics, vol. 96, pp. 231-260. Reprinted in: Moral Prejudices. Cambridge University Press. ^ Lacohée, H., Cofta, P., Phippen, A., and Furnell, S. (2008) Understanding Public Perceptions: Trust and Engagement in ICT Mediated Services. International Engineering Consortium. ^ Bohmann, K (1989). "About the Sense of Social Compatibility". AI & Society. 3 (4): 323–331. doi:10.1007/bf01908622. ^ Willson, M. A. (2006) Technically Together: Rethinking Community within Techno-society. Peter Lang Publishing Inc.
^ Cofta, P. (2007). Trust, Complexity and Control: Confidence in a Convergent World. John Wiley and Sons. ^ Child Development Institute Parenting Today. "Stages of Social-Emotional Development In Children and Teenagers". Childdevelopmentinfo.com. Archived from the original on October 2, 2011. Retrieved 2013-01-04. ^ DeNeve, Kristina M.; Cooper, Harris (1998). "The Happy Personality: A Meta-Analysis of 137 Personality Traits and Subjective Well-Being" (PDF). Psychological Bulletin. 124 (2): 197–229. doi:10.1037/0033-2909.124.2.197. PMID 9747186. ^ DeNeve, Kristina M. (1999). "Happy as an Extraverted Clam? The Role of Personality for Subjective Well-Being". Current Directions in Psychological Science. 8 (5): 141–144. doi:10.1111/1467-8721.00033. ^ "PsycNET". Psycnet.apa.org. Retrieved 29 October 2017. ^ "Four stages of trust". Innerself.com. Retrieved 2013-01-04. ^ Ed Gerck, Trust Points, Digital Certificates: Applied Internet Security by J. Feghhi, J. Feghhi and P. Williams, Addison-Wesley, ISBN 0-201-30980-7, 1998. ^ Ed Gerck (1998-01-23). "Definition of trust". Mcwg.org. Retrieved 2013-01-04. ^ a b c d Platow, M. J.; Foddy, M.; Yamagishi, T.; Lim, L.; Chow, A. (2012). "Two experimental tests of trust in in-group strangers: The moderating role of common knowledge of group membership". European Journal of Social Psychology. 42: 30–35. doi:10.1002/ejsp.852. ^ a b c d e f g Foddy, M.; Platow, M.J.; Yamagishi, T. (2009). "Group-based trust in strangers: The role of stereotypes and expectations". Psychological Science. 20 (4): 419–422. doi:10.1111/j.1467-9280.2009.02312.x. ^ a b c d e f g Tanis, M.; Postmes, T. (2005). "A social identity approach to trust: Interpersonal perception, group membership and trusting behaviour" (PDF). European Journal of Social Psychology. 35 (3): 413–424. doi:10.1002/ejsp.256. ^ DeConick, J. B. (2010). "The effect of organizational justice, perceived organizational support, and perceived supervisor support on marketing employees' level of trust". Journal of Business Research. 63 (12): 1349–1355. doi:10.1016/j.jbusres.2010.01.003. ^ Lisa M. DeBruine (7 July 2002). "Facial resemblance enhances trust". Trust. 269 (1498): 1307–1312. doi:10.1098/rspb.2002.2034. PMC 1691034. PMID 12079651. ^ DeBruine, Lisa (3 November 2005). "Trustworthy but not lust-worthy: context-specific effects of facial resemblance". Proceedings of the Royal Society B. 272 (1566): 919–22. doi:10.1098/rspb.2004.3003. JSTOR 30047623. PMC 1564091. PMID 16024346. ^ King, Valarie (August 2002). "Parental Divorce and Interpersonal Trust in Adult Offspring". Journal of Marriage and Family. 64 (3): 642–656. doi:10.1111/j.1741-3737.2002.00642.x. JSTOR 3599931. ^ a b c d e f Foddy, M., & Dawes, R. (2008). Group-based trust in social dilemmas. In A. Biel, D. Eek, T. Garling, & M. Gustafsson (Eds. ), New Issues and Paradigms in Research on Social Dilemmas (pp. 57-85). New York, USA: Springer Science and Business Media. ^ a b c Guth, W.; Levati, M.V. ; Ploner, M. (2006). "Social identity and trust – An experimental investigation". The Journal of Socio-Economics. 37 (4): 1293–1308. doi:10.1016/j.socec.2006.12.080. ^ Brewer, M.B. (1999). "The psychology of prejudice: Ingroup love or outgroup hate?". Journal of Social Issues. 55 (3): 429–444. doi:10.1111/0022-4537.00126. ^ Baier, Annette (1986). "Trust and Antitrust". Ethics. 96 (2): 231–260. doi:10.1086/292745. JSTOR 2381376. ^ "trust." Online Etymology Dictionary. Douglas Harper, Historian. 25 May. 2013. ^ Morgan, Robert; Hunt, S. (July 1994). "The Commitment-Trust Theory of Relationship Marketing". The Journal of Marketing. 58 (3): 20–38. doi:10.2307/1252308. JSTOR 1252308. ^ Zheng, J.; Roehrich, J.K.; Lewis, M.A. (2008). "The dynamics of contractual and relational governance: Evidence from long-term public-private procurement arrangements". Journal of Purchasing and Supply Management. 14 (1): 43–54. doi:10.1016/j.pursup.2008.01.004. ^ Fukuyama, F. (1996) Trust: The Social Virtues and the Creation of Prosperity, Touchstone Books. ^ Zak, P. J., and Knack, S. (2001) Trust and growth. Economic Journal,111: 295-321. ^ Braynov, S.; Sandholm, T. (2002). "Contracting With Uncertain Level Of Trust". Computational Intelligence. 18 (4): 501–514. CiteSeerX 10.1.1.70.8413. doi:10.1111/1467-8640.00200. ^ Resnick, P. (2006) The value of reputation on eBay: a controlled experiment. Experimental Economics, volume 9, Issue 2, Jun 2006, Page 79-101. ^ Keser, C. (2003) Experimental games for the design of reputation management systems. IBM Systems J., vol. 42, no. 3. ^ Berg, J., Dickhaut, J., and McCabe, K. (1995) Trust, Reciprocity, and Social History, Games and Economic Behavior 10, 122–142. Abstract. ^ Airiau, S., and Sen, S. (2006) Learning to Commit in Repeated Games. In: Proc. of the Fifth Int. Joint Conf. on Autonomous Agents and Multiagent Systems (AAMAS06). ^ Bolton, G. E., Katok, E., and Ockenfels, A. (2003) How Effective are Electronic Reputation Mechanisms? An Experimental Investigation. ^ Camerer, C.; Weigelt, K. (1988). "Experimental Tests of a Sequential Equilibrium Reputation Model". Econometrica. 56 (1): 1–36. CiteSeerX 10.1.1.458.4383. doi:10.2307/1911840. JSTOR 1911840. ^ Fehr, E., Kirchsteiger, G., and Riedl, A. (1993) Does Fairness Prevent Market Clearing? An Experimental Investigation. Quarterly Journal of Economics 108(May), pp. 437-60. ^ Poundstone, W. (1992) Prisoner's Dilemma. Doubleday, NY. ^ McKnight, D., H., Chervany, N. L. (2001) Conceptualizing Trust: A Typology and E-Commerce Customer Relationships Model. Proc. of the 34th Hawaii Int. Conf. on System Sciences. ^ Giddens, A. (1991) Modernity and Self-identity: Self and Society in the Late Modern Age. Polity Press. 1991. ^ Golbeck, J. (2008). Computing with Social Trust. Springer. ^ Egger, F. N. From Interactions to Transactions: Designing the Trust Experience for Business-to-Consumer Electronic Commerce. PhD Thesis, Eindhoven University of Technology (The Netherlands). ^ Chang, E., Dillion, T., Hussain, F. K. (2006) Trust and Reputation for Service-Oriented Environments: Technologies for Building Business Intelligence and Consumer Confidence. John Wiley & Sons, Ltd.
^ Paulo Verissimo, Miguel Correia, Nuno F. Neves, Paulo Sousa. Intrusion-Resilient Middleware Design and Validation. In Annals of Emerging Research in Information Assurance, Security and Privacy Services, H. Raghav Rao and Shambhu Upadhyaya (eds. ), Elsevier, to appear. 2008.